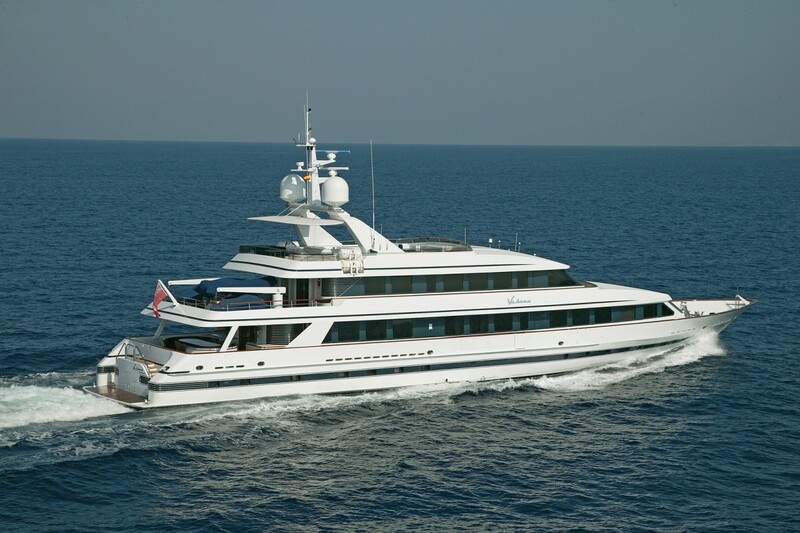 Motor yacht VA BENE is a luxury yacht built by Kees Cornelissen Yachts in 1992 and refitted in 2008, measuring 47,8m (156.8 feet) in length and accommodating up to 12 guests in 6 attractive staterooms. 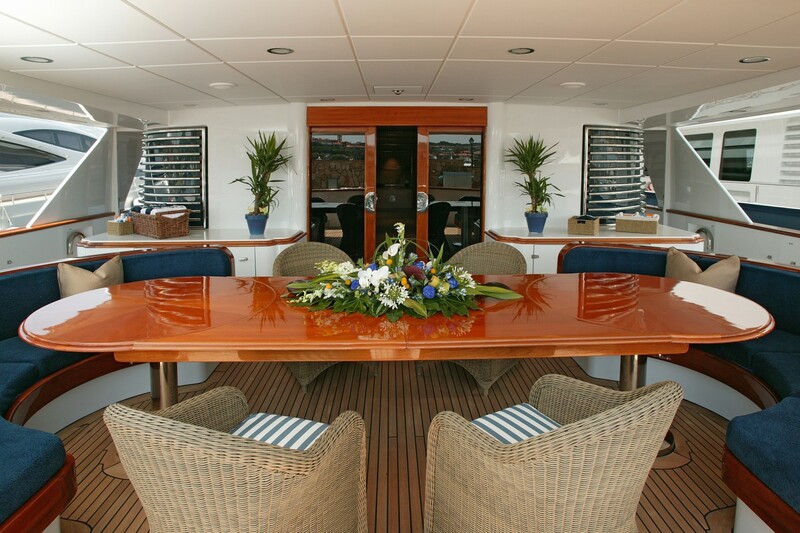 Charter yacht VA BENE is in excellent condition and is well equipped with indoor and outdoor amenities with air conditioning throughout. 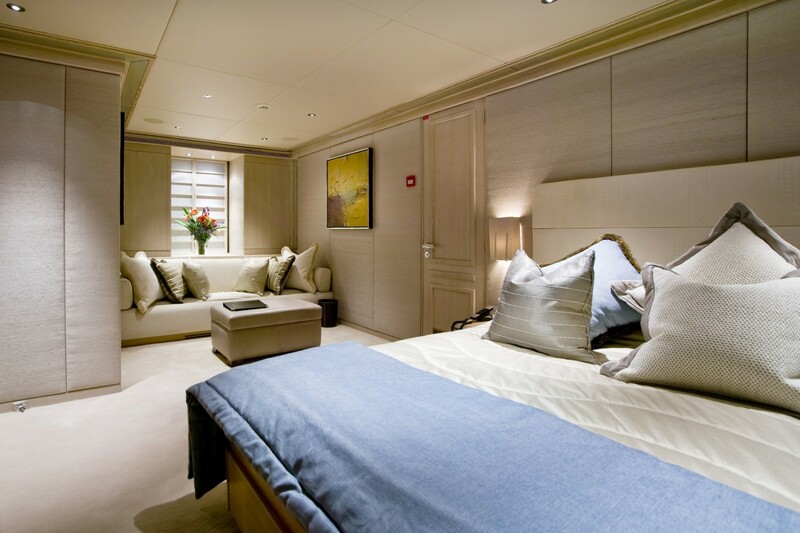 VA BENE features naval architecture and interior design by Richard Hein - The A Group. 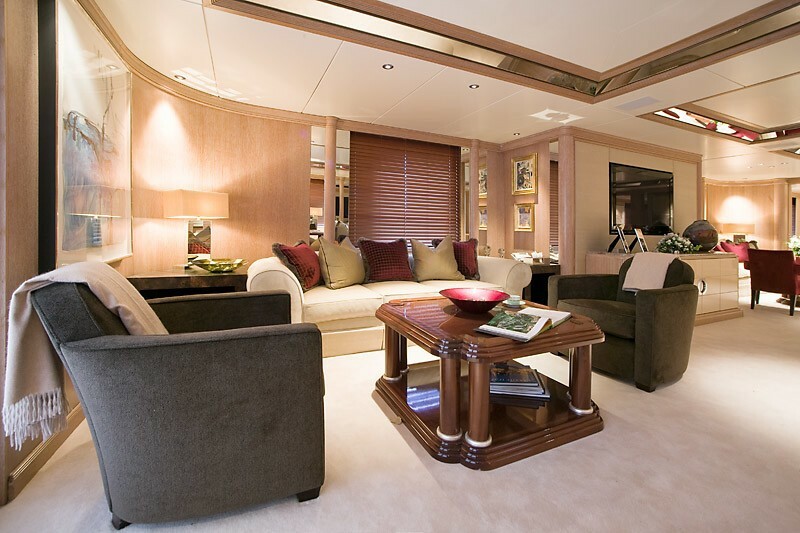 Her stylish interior is decorated with cream carpets and light wood and cream paneling, with bespoke retro furniture and splashes of burgundy, sage, and slate, with attractive pieces of contemporary art. 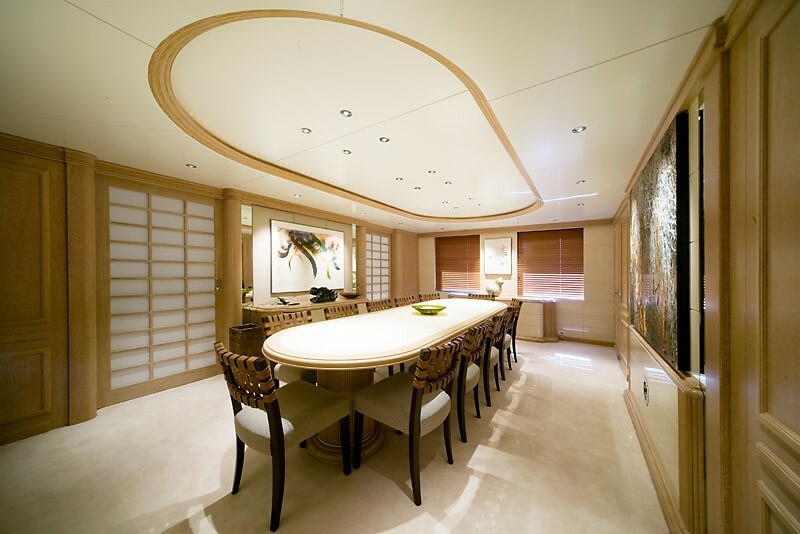 The main salon is nicely laid out with a chic lounge area, and an elegant bar area, with a separate formal dining room with a large oval table further forward. 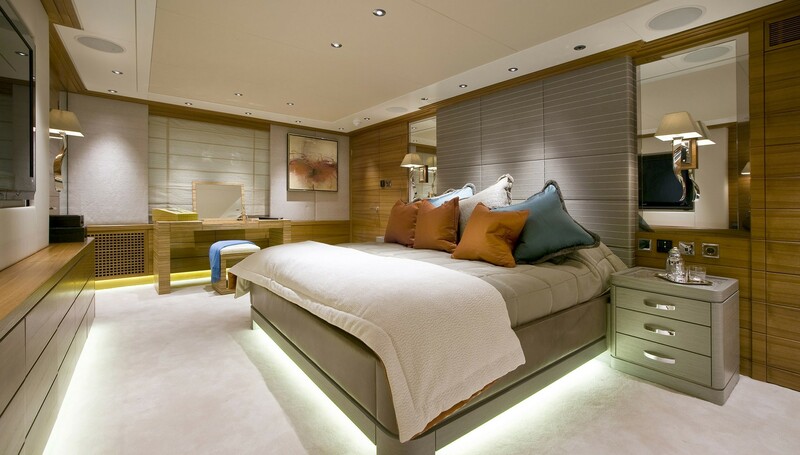 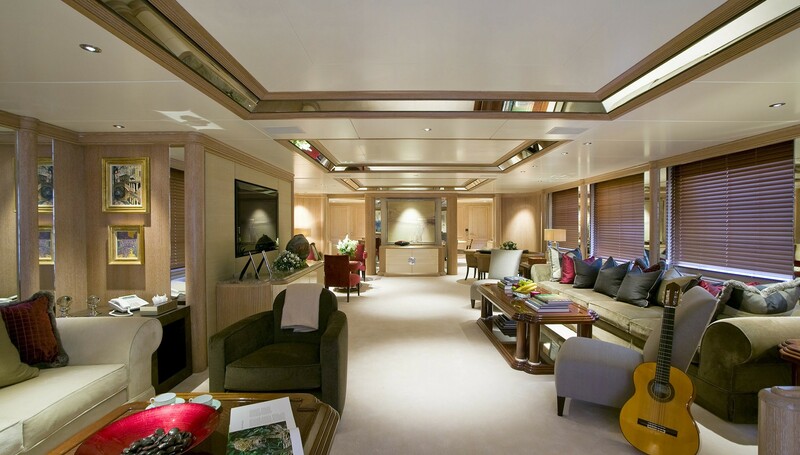 This yacht also has an attractive sky lounge with sofa seating and a flatscreen TV, a games table, and an elegant cocktail bar. 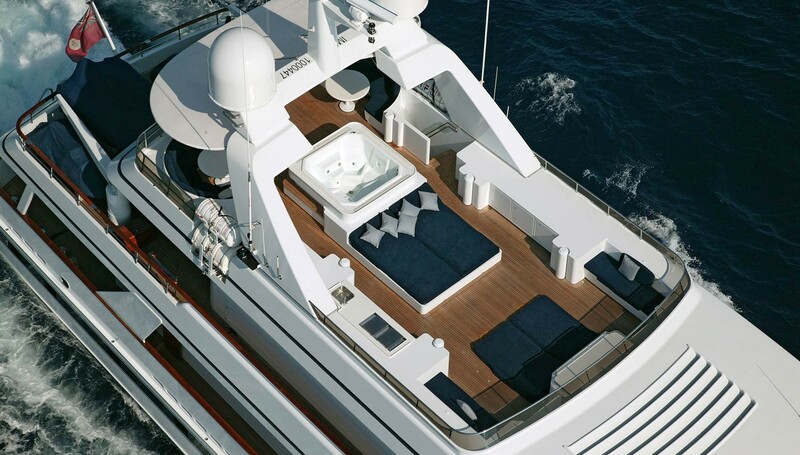 This yacht offers good deck space on three levels, providing a variety of settings for dining and outdoor living. 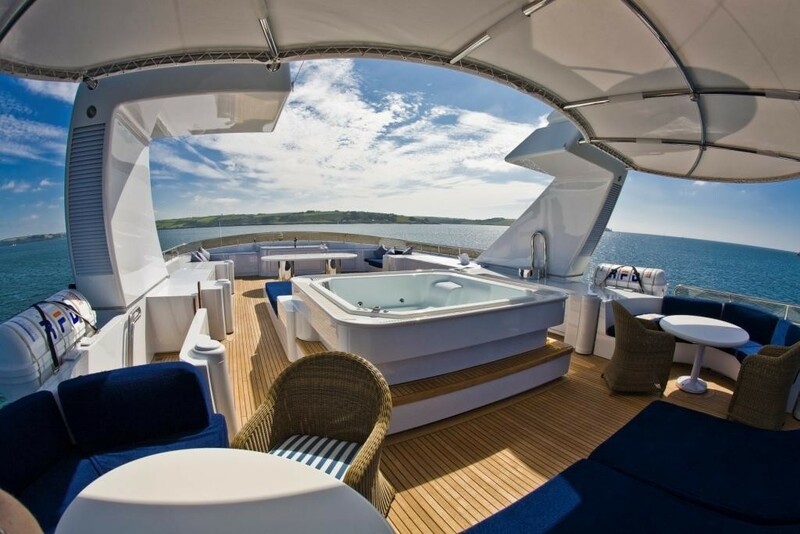 On both the main deck and the upper deck there is space for alfresco drinks and dining, while the upper deck is laid out with sun loungers and a central Spa Pool surrounded by ample sun pads for sunbathing. 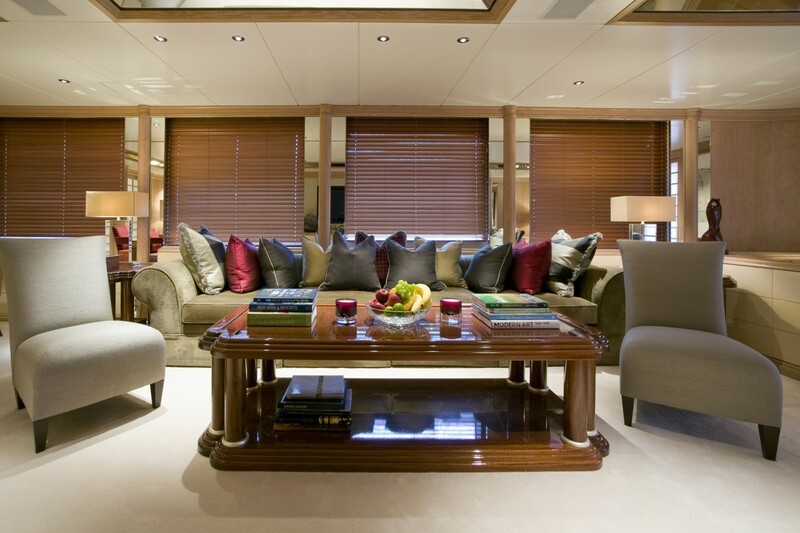 Luxury yacht VA BENE is well stocked with audiovisual equipment, including Wifi / Internet, Flatscreen TVs, and DVD Players. 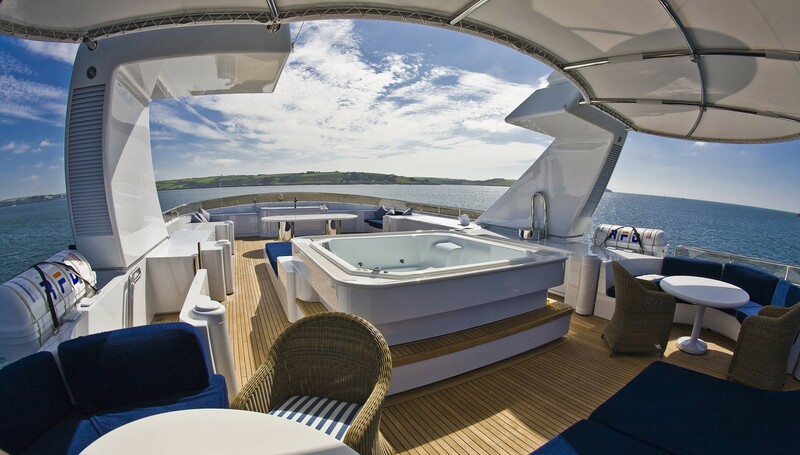 There is a great range of water sports equipment, including a 32ft (9.8m) Intrepid Tender, a 17ft (5.2m) Seadoo Tender, a 15ft (4.5m) Zodiac semi-rigid Inflatable Tender, 2 Seadoo 1500cc Waverunners (3 person), 2 Kayaks, Water Skis and a Wakeboard, a 5 person Banana and other Tow Toys, Snorkeling Gear and Fishing Gear. 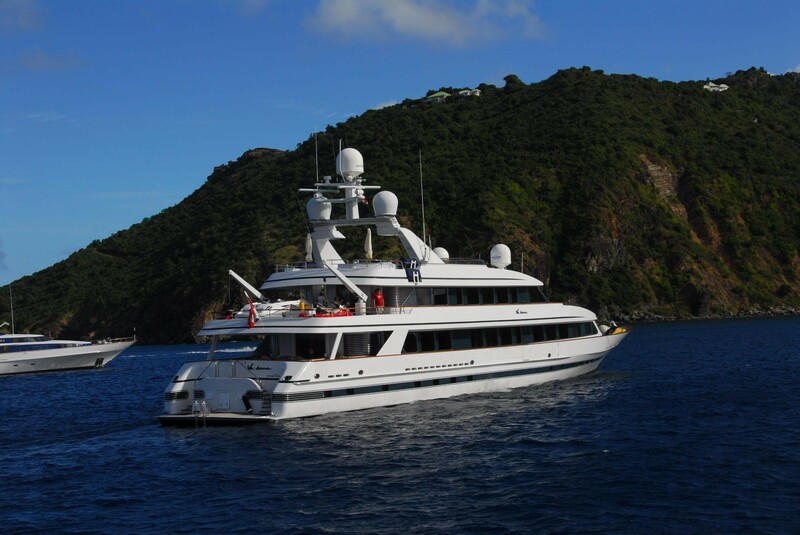 Rendez-vous diving is also available on request. 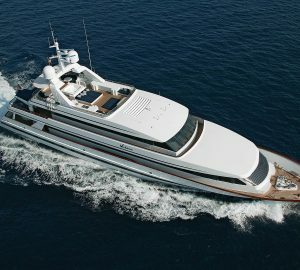 Charter Yacht VA BENE measures 47.8m (156.8 feet) in length, with a beam of 9.22m (30.2 feet) and a draft of 3.1m (10.2 feet). 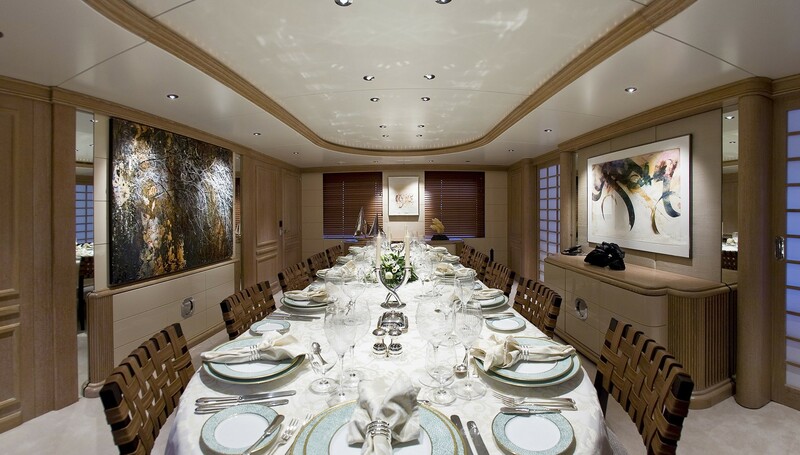 There are 13 crew that ensure the highest level of service is offered at all times. 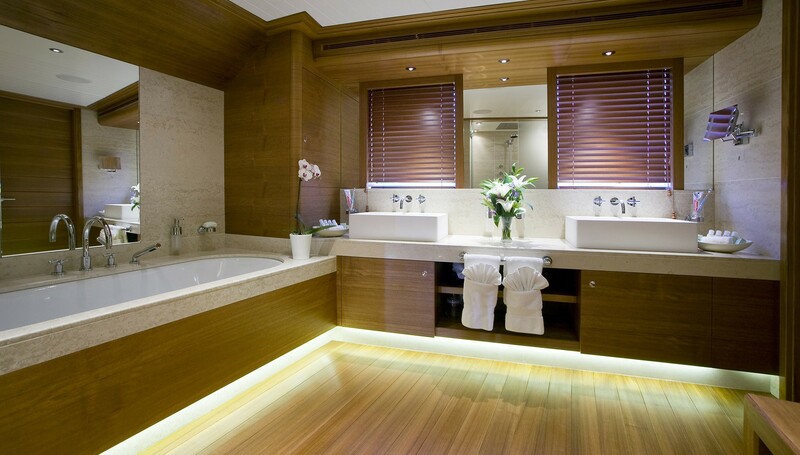 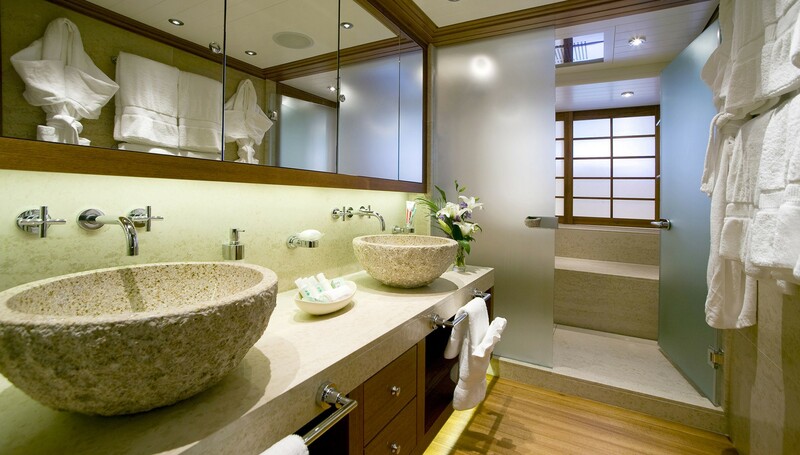 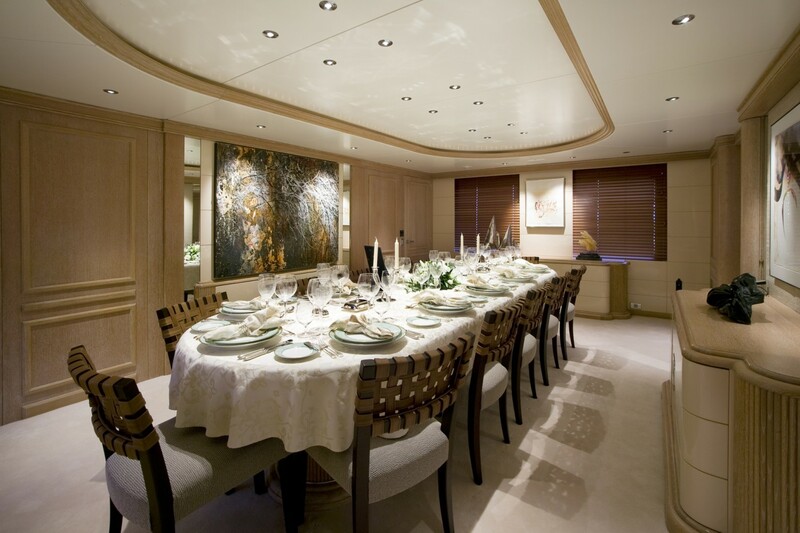 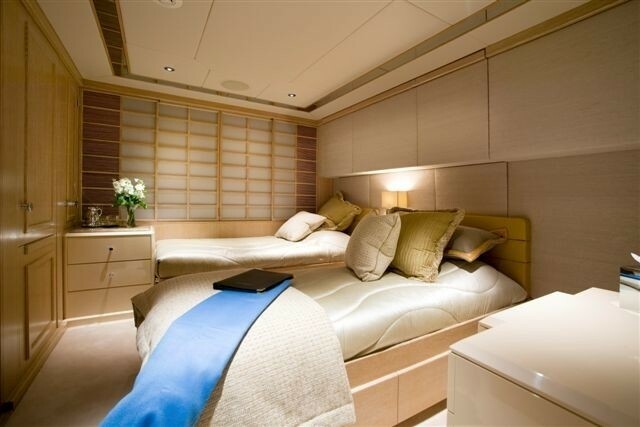 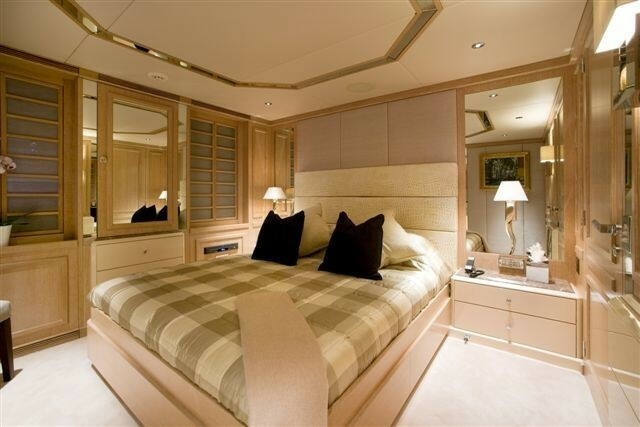 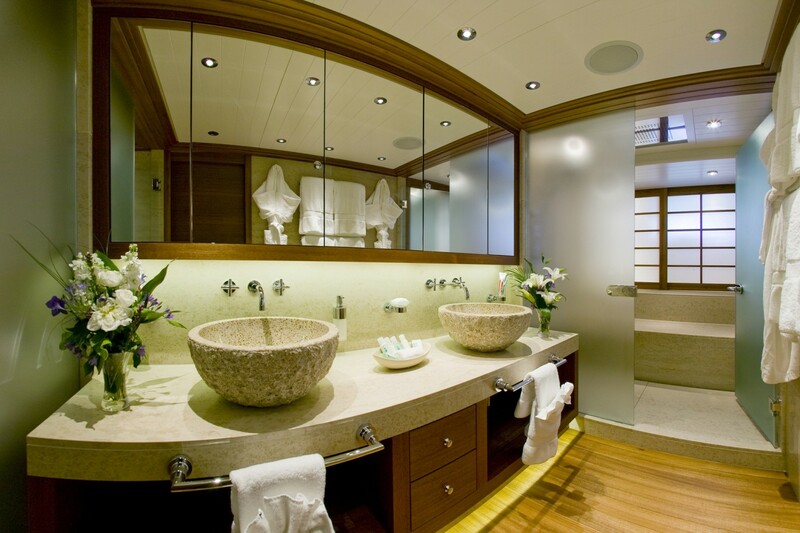 M/Y VA BENE received a multimillion-dollar refit in 2008. 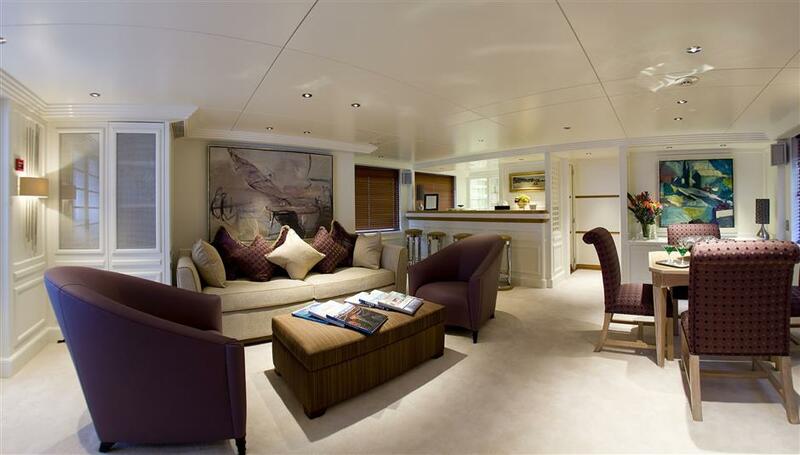 The £6million complete interior and exterior refit at Pendennis was managed by Nick Line. 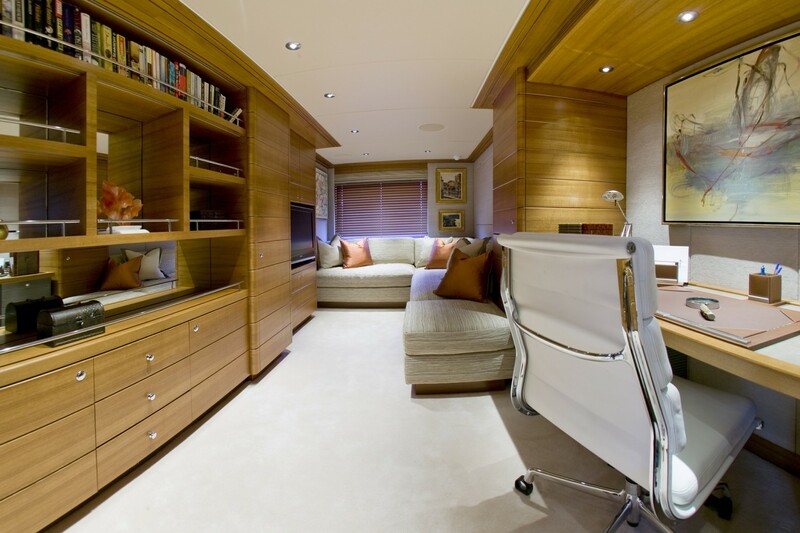 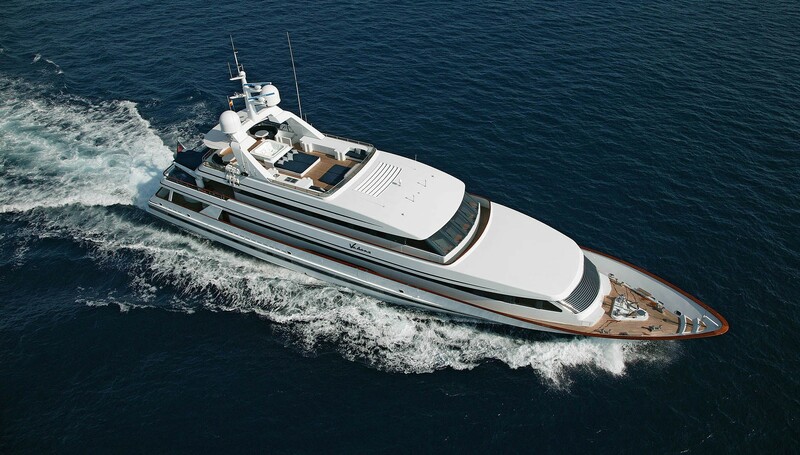 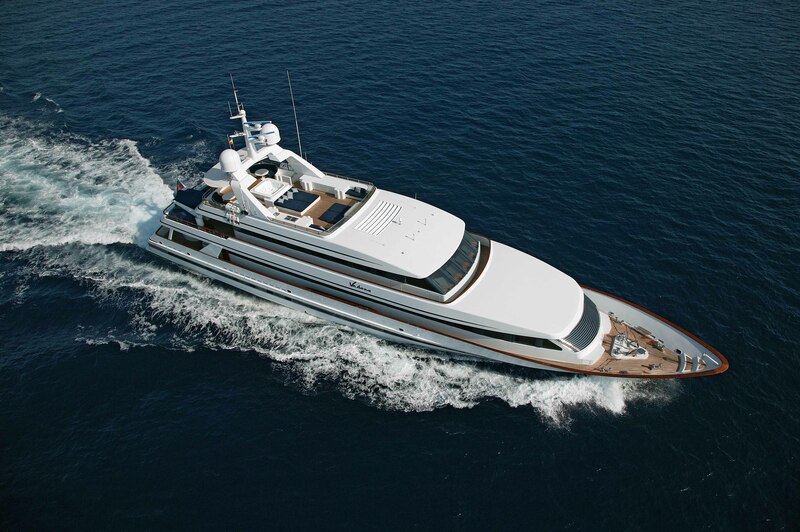 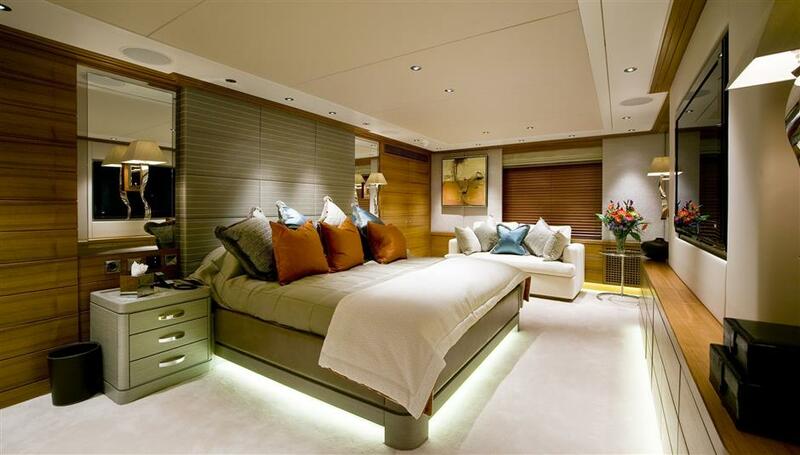 The yacht's refit was so successful that the yacht was a finalist at the 2009 Superyacht Awards for best refit. 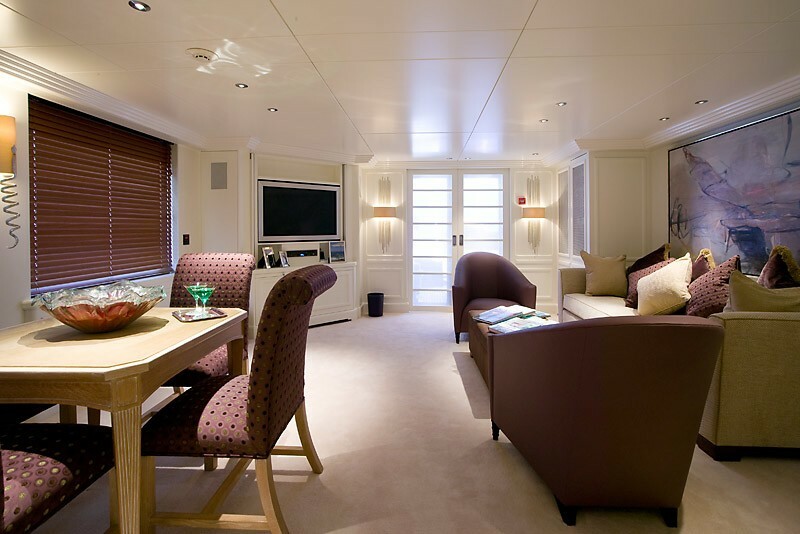 2006 maintenance included new carpets in lower deck accommodation replaced before 2006 Med season. 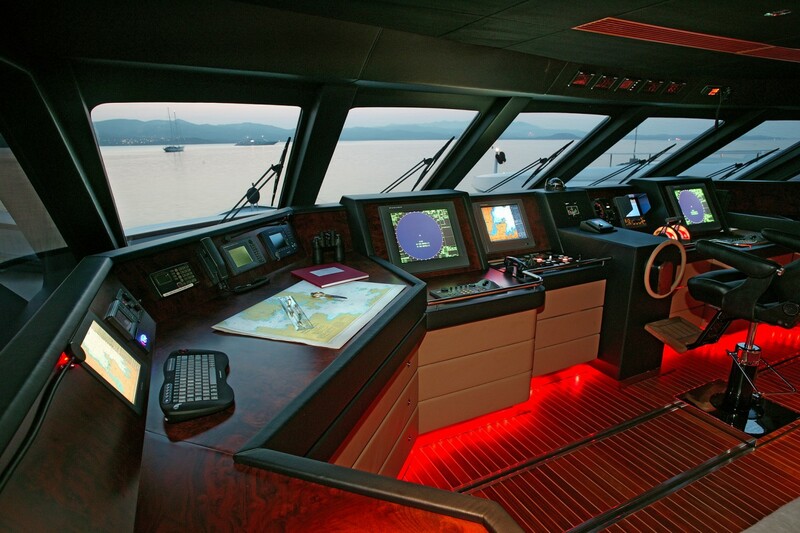 2005 upgrades included V-Sat communication system installed. 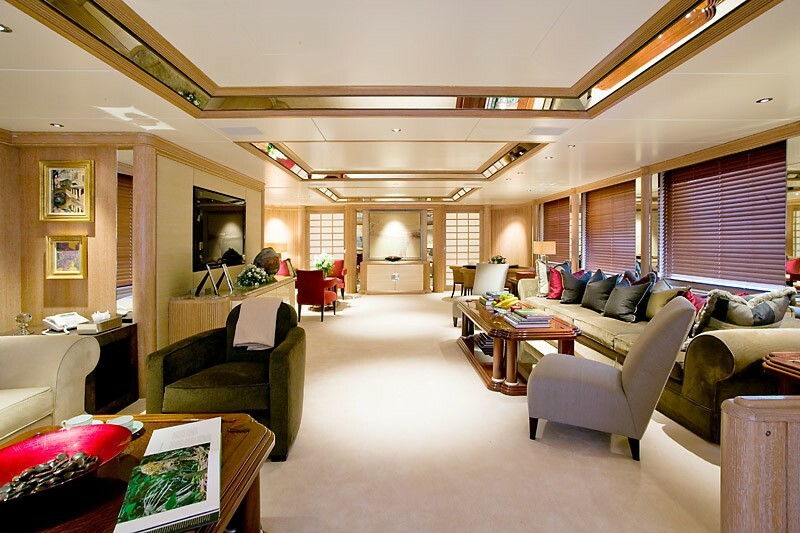 Carpets in the main deck salon replaced. 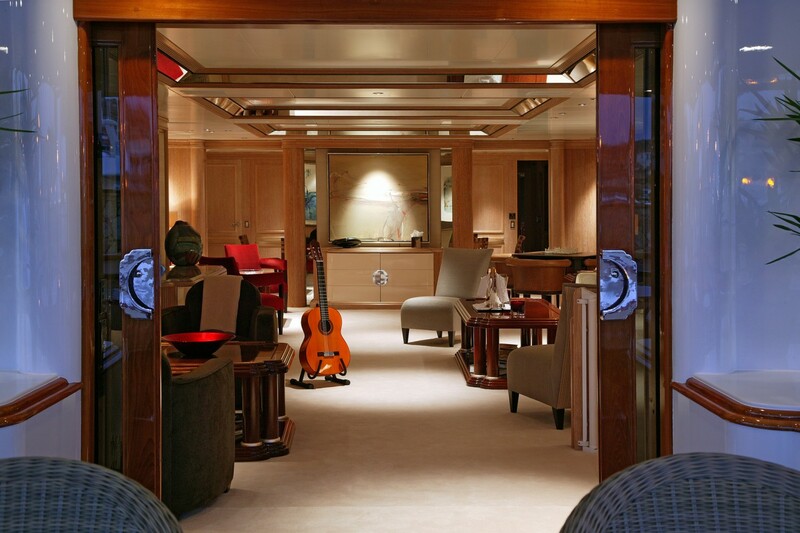 In 2005/06 the Bridge deck and fly deck were repainted. 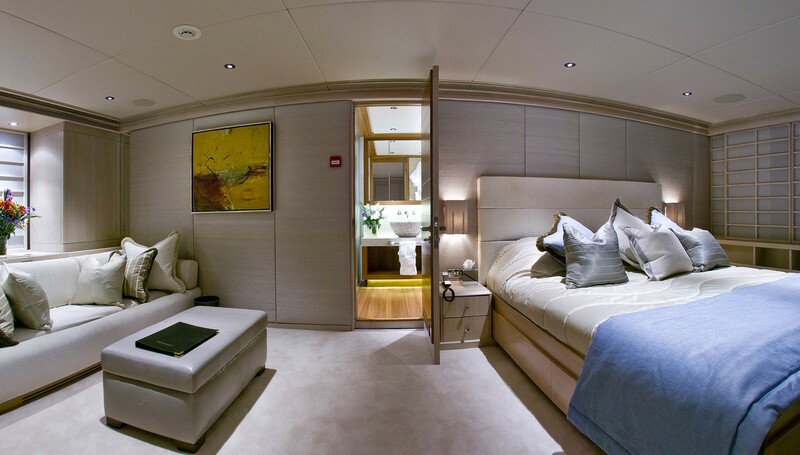 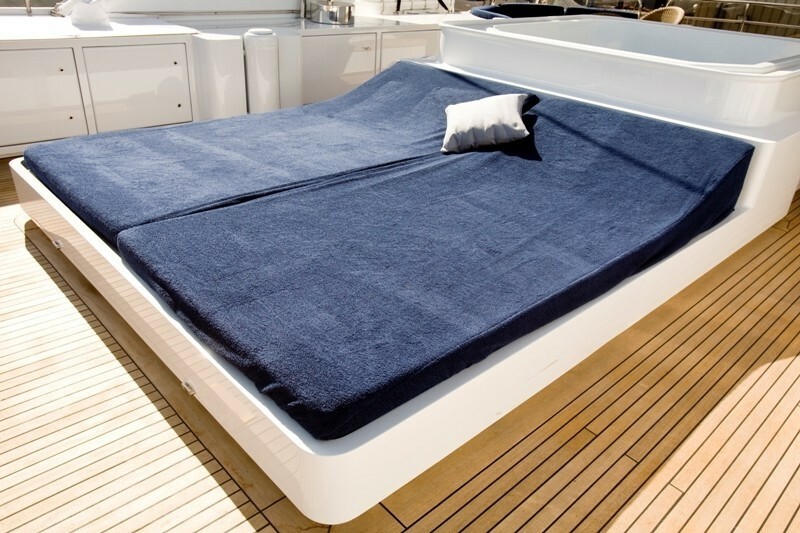 The VA BENE yacht can accommodate up to 12 charter guests in 6 cabins. 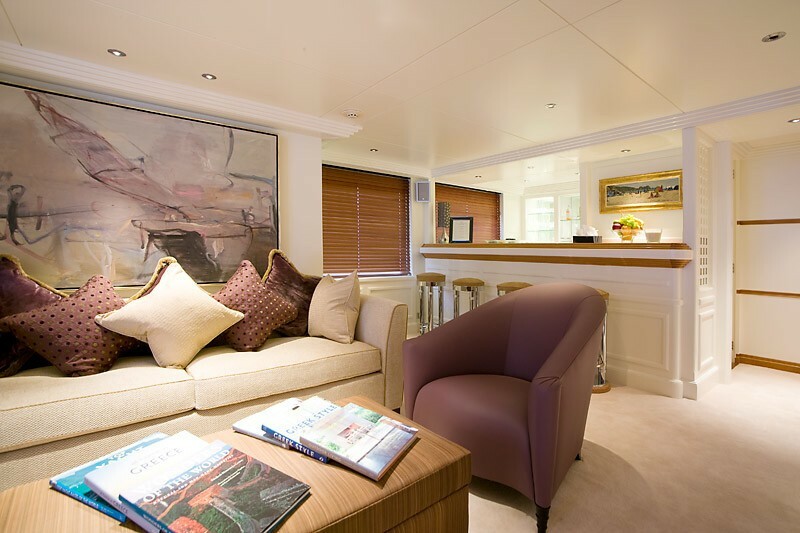 The cabins consist of one full width double Owner's cabin with bathroom en suite, two double guest cabins each with shower rooms en suite, one twin/triple cabin (with an extra Pullman berth) with shower room en suite, one double/triple cabin (with an extra Pullman berth) with shower room en suite and one full width double VIP cabin with bathroom en suite. 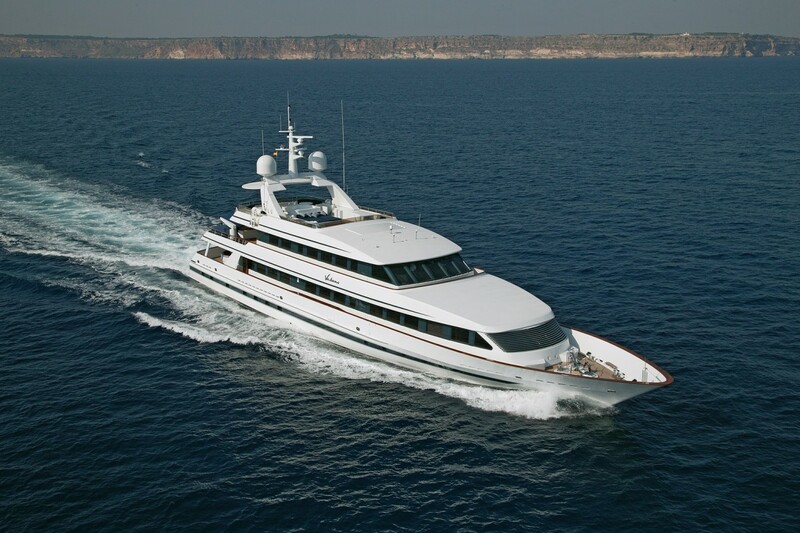 Tenders & Toys onboard M/Y VA BENE include a 32ft (9.8m) Intrepid with 2 x 250hp engines, 17ft (5.2m) Sea-Doo tender with 1600cc engine, 15ft (4.5m) Zodiac semi-rigid inflatable with 40hp engine, 2 Sea-Doo 1500cc wave runners (3 man), 2 kayaks, Water skis & wakeboard, 5 person Banana & other tow toys, Snorkelling gear, Fishing gear, Communications include satcom (telephone/telefax/email), cellular telephones, Audio Visual Equipment and Deck Facilities include TV, CD Player & DVD, Book library, Satellite television (in restriced areas), Stereo music systems, Spa Pool dip pool, Barbecue, Karaoke with 300+ songs.